Asus ZenFone line of smartphones enjoys a nice reputation, and Asus hopes it will continue to do so with the new generation of devices: the ZenFone 3, which come in three different versions, the regular one, the Deluxe and the Ultra. The ZenPhones once stood for the use of Intel chips on smartphones, but Intel's recent change of heart made Asus rely on the more common Snapdragons from Qualcomm. In fact, Zenfone 3 is the first device to use the new Snapdragon 625 octa-core, well suited for an Android M sub-$250 device. The regular Zenfone 3 comes with a 5.5" Full HD screen, 3GB RAM, 32GB storage (+microSD), USB Type-C, and 3000mAh battery. Main camera is 16MP (Sony IMX298) with laser autofocus, phase detection autofocus, RGB sensor for color correction and 4 axis optical stabilization in photos (3 axis while shooting video). There's also low-light mode, that bundles 4 pixels together to create 1 pixel; and super-resolution with 64MP photos. On the front we get a 8MP camera. 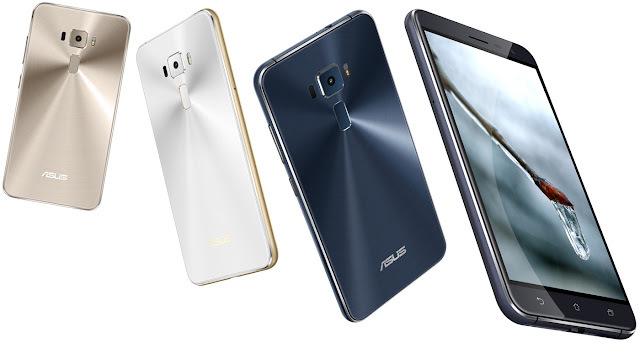 Then we get the improved Zenfone 3 Deluxe, with a metal back (instead of the 2.5D glass of the regular one), Super AMOLED 5.7" Full HD screen, Snapdragon 820, USB 3.0 + Quick Charge 3.0, and also a premiere: a 23MP camera using the brand new Sony IMX318 sensor, with 4K video and 92MP super-resolution photos. Prices start at $499, with 6GB RAM and 64GB storage, with a 256GB version arriving later. 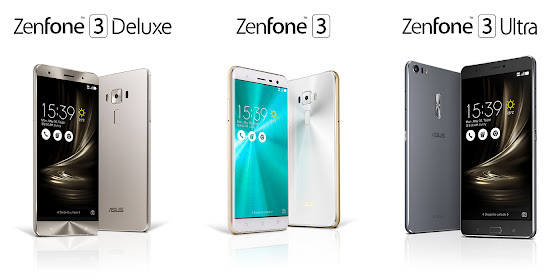 For phablet fans, Asus presents the Zenfone 3 Ultra with a 6.8"(!) Full HD screen. This one comes with a Snapdragon 652, 4600mAh battery (you can use it as a power bank), and the fingerprint sensor jumps from the back to the front button. Prices start at $479 with 4GB/64GB.